The Fuel D251 Nutz is available in 20 and 22 inch sizes. Multiple widths available in all sizes. Lifted truck applications only. Prices are for cast aluminum barrels and cast aluminum centers. Forged centers are available for an additional charge. 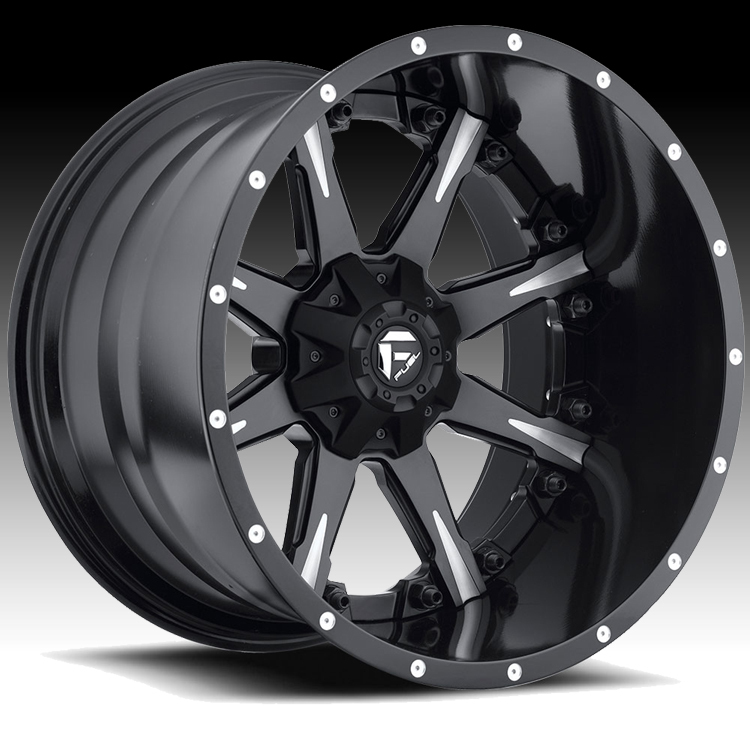 20x10 5x127 / 5x139.7 -19 D25120005747 $525.00 47 Lbs -->> Call or email for special deals! 20x10 8x165.1 -19 D25120008247 $525.00 47 Lbs -->> Call or email for special deals! 20x10 8x170 -19 D25120001747 $525.00 47 Lbs -->> Call or email for special deals! 20x10 8x180 -19 D25120001847 $525.00 47 Lbs -->> Call or email for special deals! 20x12 8x170 -44 D25120201747 $575.00 53 Lbs -->> Call or email for special deals! 22x12 8x170 -44 D25122201747 $625.00 57 Lbs -->> Call or email for special deals!